When we lived overseas we wore many different hats and did many different things. When we lived in the village we decided to have a summer camp for the children of the village. Now in the former Soviet Union camps are a very big thing. It isn’t camp as we think of camp here in the states. It is more like a day camp. It is a place where the children come, have fun and learn about Jesus’ saving power. 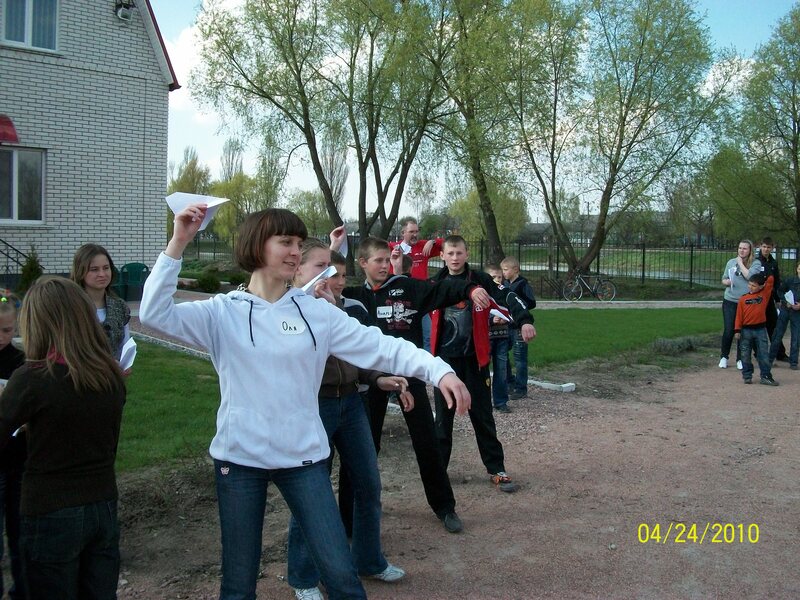 We were friends with a group from One Mission Society who were ministering in Kiev. We contacted them and asked them if they would come and hold a camp for the kids in our village. They were glad to come help us and sent several people from their team to come for five days. Of course we had to plan all the meals and get the food in. That was just about our contribution to the camp. We announced we were holding camp and the children came. It was all ages and they were looking forward to it. 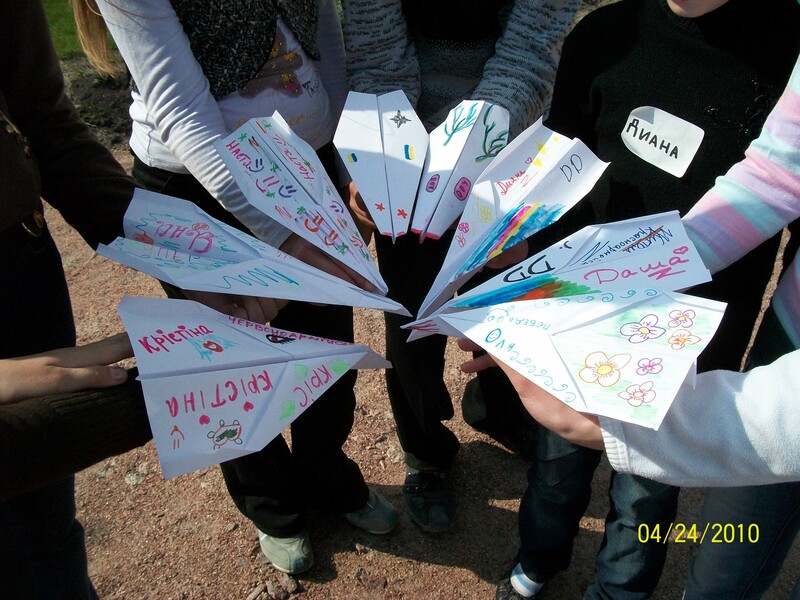 The team taught them about art, flying paper airplanes and playing games. Now granted they probably knew a lot of the stuff but they enjoyed themselves and the team enjoyed themselves. Of course it wasn’t all fun and games. We held classes twice a day and taught the children about the Bible and what Jesus did for them. They listened attentively and asked some questions. At the end of the camp we had a hot dog bon fire and had a lot of fun making smores. You never know the seeds that have been planted and we will probably never know the results till we are in heaven.